Finished my 262nd marathon today at Rock N Roll Seattle Marathon. 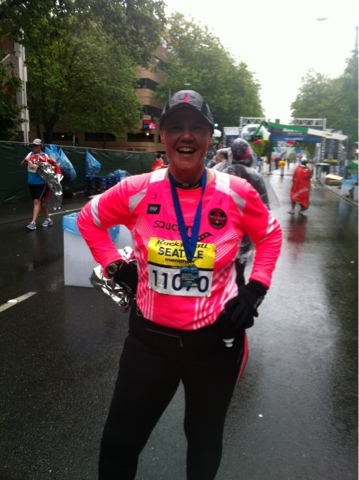 Each time I cross the finishline of another marathon I am grateful I remain cancer free! What doesn't kill you only makes you stronger. your freaking awesome! I googled you after reading an old issue of Women's running from the US (I am an Australian in Thailand) I thought it must have been a typo when they printed the amount of marathons you have run. It wasn't...you are a Warrior. Congratulations of your breast cancer survival and your incredibly inspirational achievements! It is a blessed day!